The STI Clinic provides easy to use laboratory based sexual health screening that can be accessed from your home. We send you a home collection kit and you send it back to our laboratory in a reply paid envelope that can be posted from any post box in the UK. 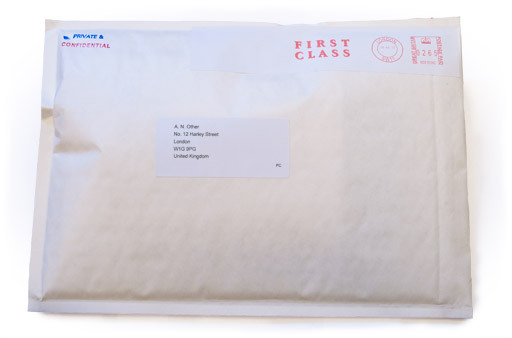 Our home STI test arrives in a plain A4 padded envelope marked private and confidential, fitting most letterboxes. Here is what the packaging looks like. There is absolutely no mention of The STI Clinic on the outside so there is no way that anyone could tell what is on the inside. When you receive your home STI testing kit you just follow the very simple instructions. 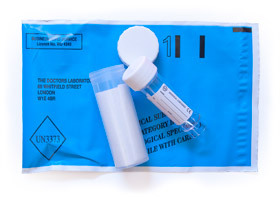 The sort of sample that you need to provide will depend on the type of test that you have requested but most male tests are done from a urine sample and most female tests are done from a vaginal swab but we can also use urine samples for women. 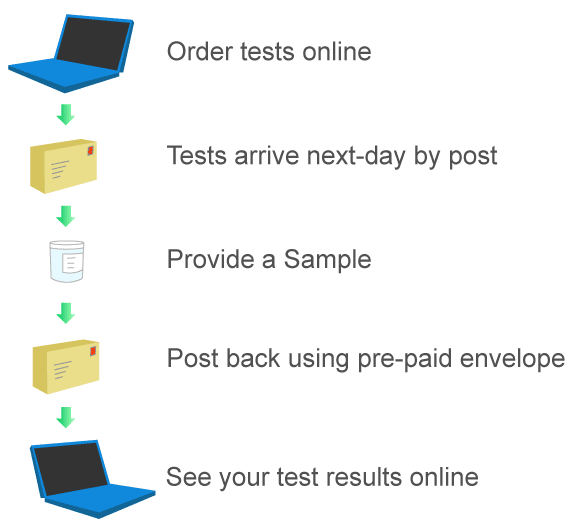 Collecting your sample could not be simpler. Once you have taken the sample, just place it in the reply paid envelope along with the lab instruction form that has been pre-completed for you. You should have your results within 24 hours of the lab receiving your sample. The full STI screen can take longer but most results are back within 36 hours. 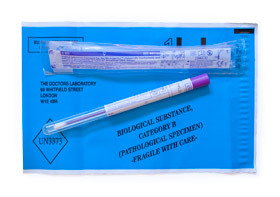 If your STI test comes back positive for anything we can treat you with appropriate medication, which will be delivered by Royal Mail Special Delivery.